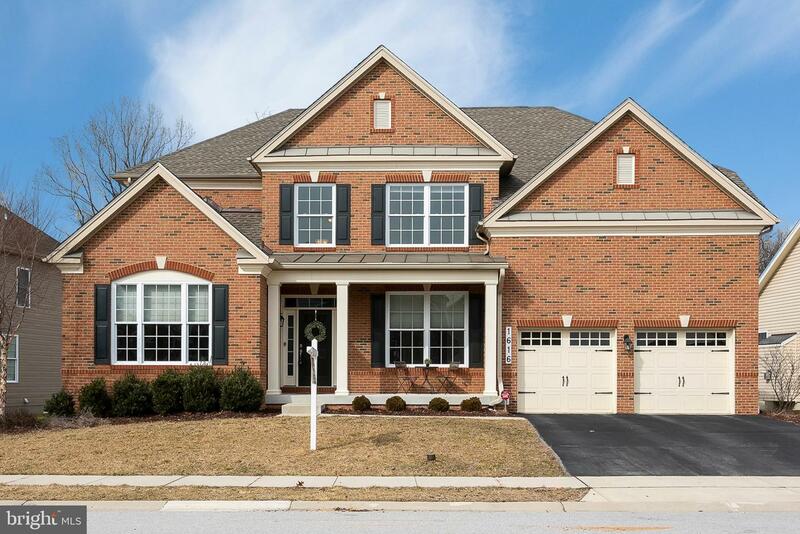 Don't miss out on this absolutely gorgeous home in Severn's sought after Luxury community (Arundel Forest). This almost new single family home is situated on a premium lot backing to woods and adjacent to community pond/protected area (lots of privacy). With over 5,000 finished square feet, this home has countless upgrades/features... Open Floor plan with lots of natural light, Hardwood floors on main and upper level, Main Level Study (potential Bedroom), Living Room with bay window, Formal Dining Room, 2 Story Family Room with gas fireplace, Gourmet kitchen with upgraded 42" cabinets/granite counters/custom backsplash/double oven/gas cooktop/large island, Large Sun Room w/ vaulted ceilings leading to Trex Deck and Patio, Master suite with tray ceiling (wood floors), Luxury master bathroom with multiple vanities/soaking tub and separate shower, Huge Finished walk out basement with full windows/large recreation room/full bathroom (potential for 5th bedroom)/plenty of storage, Lawn irrigation system. 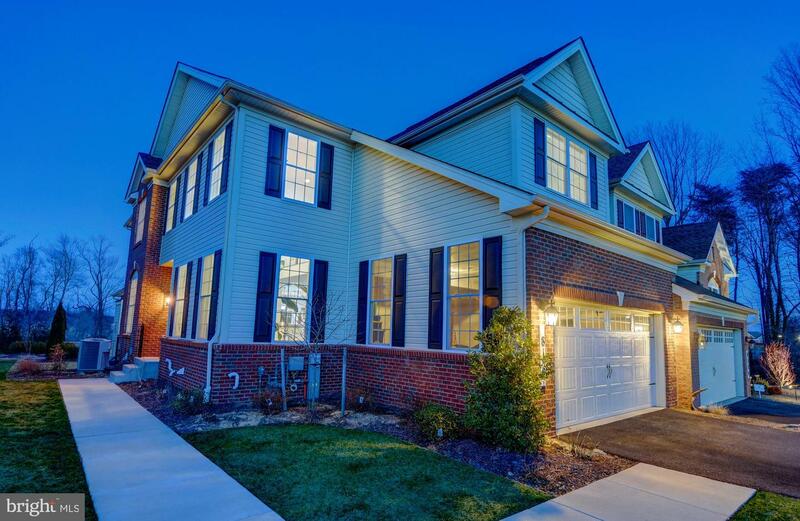 Very convenient location close to shopping, Ft.Meade/NSA, Arundel Mills/MD Live/BWI. Ideal for both Baltimore and DC commuters! Beautiful open floor plan concept. Gourmet kit/GE Profile SS appli/granite counters/tile backsplash/+ much more/large island/hardwood leading to Casual Dining Area. MBR-crown molding/large w-in closet/tray ceiling. Spa like shower/granite counters/dual sinks/12x12 ceramic tile floor to ceiling! 2nd Floor Laundry. Princess suite has private bath. Each BR has a w-in closet! This home will go fast! Move Into Your Dream Home Now with a 3.99% Rate (4.074% APR)**Based on 30 Yr. Fixed, $550,000 sale price, $385,000 loan amt. Minimum 30% down. Max rate lock is 100 days. Pmt. factor at 3.99% is $4.77 per $1,000 financed. Rate/program avail. through TBI Mortgage Company: NMLS #18154 (www.nmlsconsumeraccess.org): see tbimortgage.com for licensing info; subj. to change w/o notice and for qualified buyer only; other programs avail. Offers, incentives and seller contributions vary by community and are subj. to certain terms, conditions and restrictions. This is not an offering where prohibited by law. See sales representative for details. 3/19. Equal Housing Lender. This better than new carriage home is spacious, loaded with options and full of light! The open floor plan is wonderful for entertaining and easy living. The first floor features a dramatic two story foyer and living room that opens to dining room with coffered ceilings and granite topped built in for serving pieces and storage. The entire first floor has rich hardwood floors that contrasts beautifully with the upgraded cream cabinets and light granite counter tops. The owner is a baker and has upgraded literally everything in the kitchen, It has stainless appliances w/commercial stove, a range hood that is vented outside, a built in refrigerator, recessed lighting, under the cabinet lighting, upgraded tile back splash and pot filler above the stove. There is lots of counter space to work and it also has a nice bar height top around the island to socialize with your family and guests while working in the kitchen. The open family room is a perfect place to watch your favorite show or enjoy the cozy gas fireplace and read a book. This home also has the sun room extension with windows on three sides and cathedral ceilings w/ fan. It opens up to a deck and flagstone patio that is also accessible from the eat in kitchen. The upper level master bedroom sanctuary has tray ceilings and a gorgeous crystal chandelier and a luxury master bath with a frame less shower and soaking tub and private commode area. There are two spacious additional bedrooms up and a convenient second level laundry. The fully finished lower level has a fourth bedroom, full bath and billiard/game/family room with recessed lights and tons of unfinished storage. This is all located in Arundel Forest. Get ready to use the community pool, fitness center and play ground this summer. Do not miss this one! 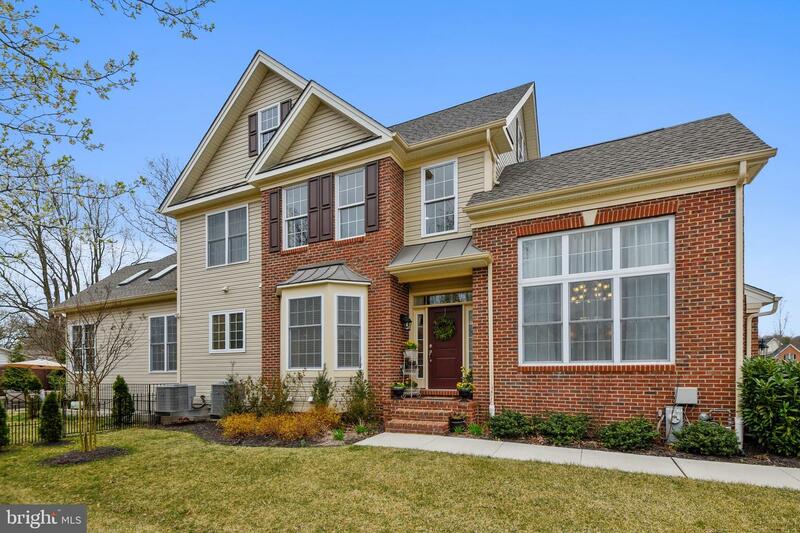 Fabulous renovation in highly sought after neighborhood of Severn. 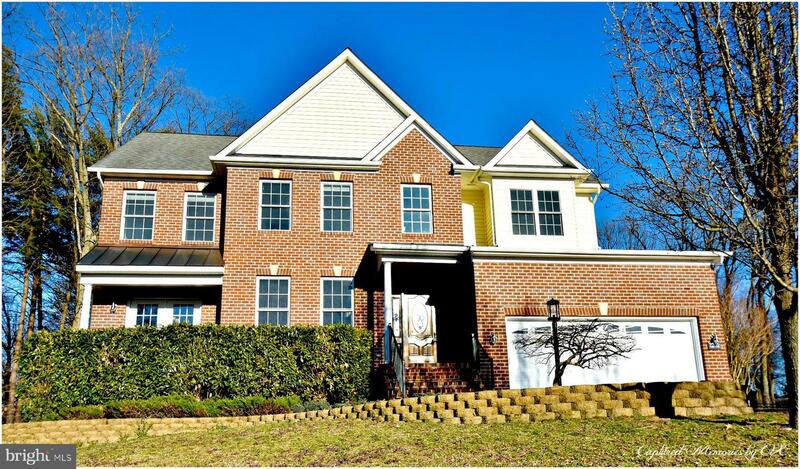 This large brick front home boasts over an acre of land with a large backyard for activities. Peaceful and quiet are the best ways to describe the ambiance of this home. The home features many upgrades and has been full renovated to bring you top quality and much more. Hardwood floors adorn two levels of this three level home along with high quality carpeting and tile flooring in the bedrooms and bathrooms. Front loading washer and dryer on the master level included with this home! Enjoy a spa like aesthetic and luxury in the master bathroom. The master bedroom and walk in closets are so spacious, you may think you live in your own personal home away from home! The kitchen has been upgraded to a true fully gourmet level. Featuring built in cook top, over sized refrigerator, Viking double wall oven and gas burners and dishwasher, and brand new granite counter tops and large subway tile back splash. The outstanding finishes don't stop there. This fully finished basement includes another luxury bathroom, a sectional divider for an office or workout space (let your imagination take you there), rough in for a wet bar, large family room and the coup de gras of high end finishes... a fully ready to go home theater room complete with projector, screen and surround sound speakers. Bring your own reclining chairs to make your home rival the best of the modern high end movie theaters. You'll never need to go to the theaters to get that full immersive experience again! Almost New! 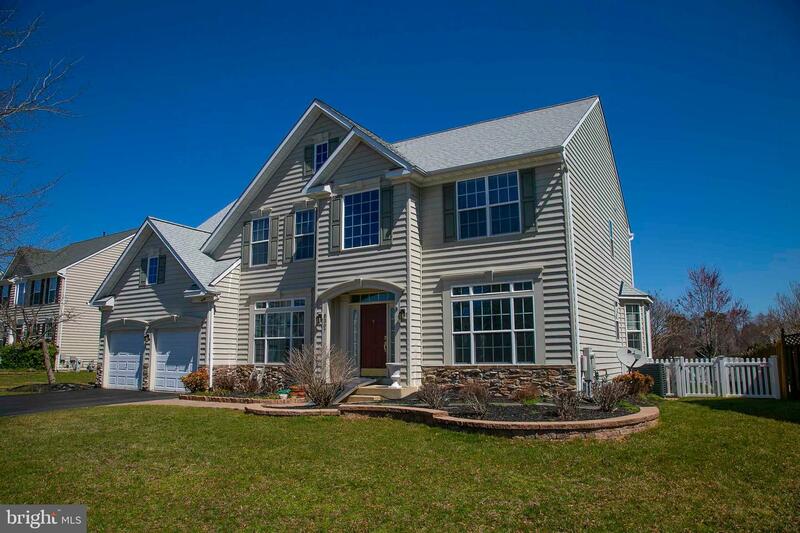 Why wait when you can move into this 5800 sq ft home! Great for extended family, 5 full size bedrooms, 5 full baths, finished basement,1250 sq ft (just done and never lived in), a den/study plus another family room in basement, hardwood flooring in most of the first 2 floor, whole house generator, upgraded appliances,trex deck, granite counters, doorbell cam,epoxy floors in garage floors,9 foot ceiling on 2nd floor, custom paint throughout, and so much more! 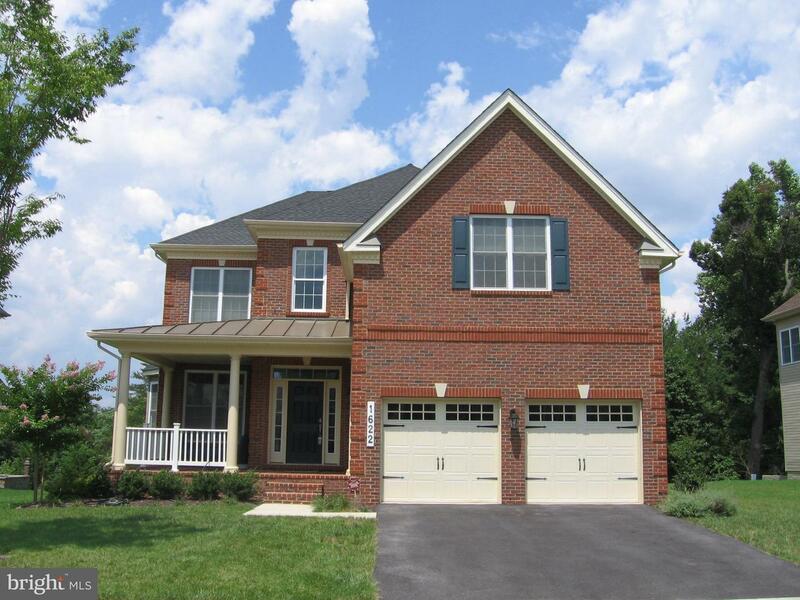 Listed by Fathom Realty MD, LLC. NATIONAL SALES EVENT - APRIL 6-28, 2019 - GREAT RATES + PERSONALIZED INCENTIVES = TREMENDOUS BUYING POWER. Beautiful open concept. Gourmet kitchen, GE Profile SS appliances, granite counters/tile backsplash/+ much more/large island, hardwood leading to Casual Dining Area. Master Bedroom crown molding, large walkin closet/tray ceiling. Spa like shower/granite counters/dual sinks/12x12 ceramic tile floor to ceiling! 2nd Floor Laundry. Princess suite has private bath. Each Bedroom has a walkin closet! 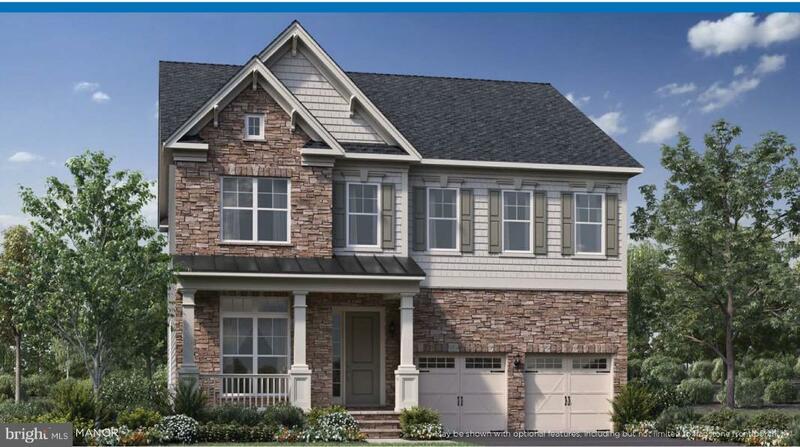 Pristine Toll Brothers Yates model, neutral decor. Hardwoods throughout main level, rear gourmet eat-in kitchen with stainless appliances, white cabinets and granite counters. Main floor study. Large MBR with sitting room and two walk-ins, luxury MBA with soaking tub and separate shower, double vanity. 4BR's, 3fullBA's upstairs, granite on all BA sink tops. Fam room with gas FP. Relax on brick front porch. Backs to woods/open space. Community pool, clubhouse with fitness center, tot lots. Listed by Buckingham Realty, Inc.
Ready for Immediate Delivery!! 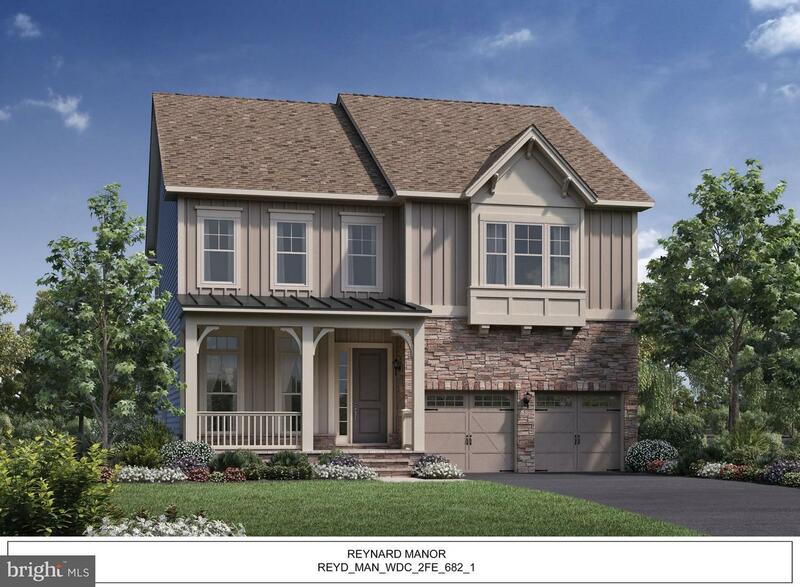 Imagine yourself in this beautifully constructed Windsor Model Home that boasts a stunning open floorplan with a gorgeous open back staircase that overlooks the sspacioius family room and designer kitchen! Enjoy the large .741 acre wooded lot conveniently located near Fort Meade, shopping and parks.